It’s high time we reappraised Oasis’ fourth album, the grammatically suspect Standing on the Shoulder of Giants. When it was released in 2000, the expectations were astronomical. Oasis were still the biggest band in the (rest of the) world, but facing a crossroads. The question of how to follow-up the relative “failure” of Be Here Now--it had sold only eight million copies–loomed large. The critics had not been kind, labeling that record as everything wrong about 90s Britpop hubris, or at least the moment it all went south. (Twenty years later, Be Here Now stands up remarkably well). In the interim, they had also lost a couple of bandmates. So what do you do for an encore? If you’re Noel Gallagher, you toss your brother a few breakneck anthems where he can practice his (highly convincing) Johnny Rotten impression and spend the rest of the disc getting introspective. Vulnerable even. There’s always been a moral undercurrent to Gallagher’s songs, usually obscured by swagger or melancholy or both, but it’s never been as poignant as his trio of regretful masterpieces on SOTSOG, “Gas Panic”–which one reviewer dubbed the sonic equivalent of a really good Jason Statham film–“Where Did It All Go Wrong?,” and “Sunday Morning Call”. (The closing prayer, “Roll It Over”, is only a small step down). They’re all thoughtful and ridiculously tuneful ruminations on foolishness, mortality, and hypocrisy. Coming from someone known mainly for his brash self-belief and unrepentant allergy to caring about, well, anything, it was a surprise. What you’re not supposed to feel? Not exactly the So-Sally-Can-Wait singalong that fans were hoping for. Indeed, instead of glorifying rockstar mythology with slightly rewritten platitudes, as he ingeniously did on their first three records, SOTSOG weighs the cost and comes clean about the consequences–and does so with humility. No wonder it didn’t sell all that well. There’s nothing less marketable than a reckoning. But this was fresh ground for the band, exquisitely executed (almost exclusively by Noel himself), but also the very last thing their good-time reputation had led folks to expect or want from them. Too bad. Noel has since dissed the album, almost to the point of disowning it (especially “Sunday Morning Call”), which is a shame as it’s really quite something: a full-blown concept record about the phenomenon known as the Moral Hangover, AKA the reverse negative of Definitely Maybe. The sound of it is also unlike anything else in their cataglog: less guitars (though still a ton), bouncier bass, more organ, a compelling preponderance of synthesized choirs. Sub out the psychedelic misfire “Who Feels Love” for the brilliant and thematically cohesive B-Side “Let’s All Make Believe”, and restore “Revolution Song” to the tracklisting in lieu of Liam’s sweet-but-simplistic “Little James” and you have a masterpiece, IMHO. 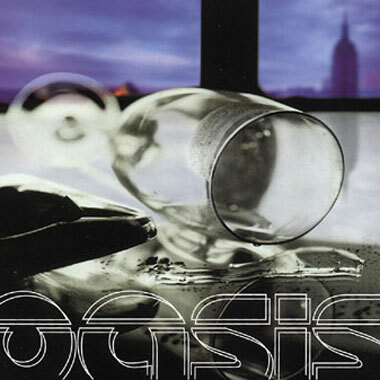 On Oasis’ next record, Heathen Chemistry, an exhausted Noel retreated from the confessionalism, relegated his more personal statements to B-sides (“Just Getting Older,” “Idler’s Dream”, and “Shout It Out Loud”) and handed over the reigns to his new bandmates, effectively throwing in the towel–with a few notable exceptions, that is (“Little By Little”, “She Is Love”). He is Noel Gallagher after all. The man stands on some serious shoulder(s).